Buffoli entered the North American market in 1981. Since then approximately 30% of our machines have been installed in this region, establishing North America as a primary Buffoli market. Buffoli has been a registered trademark in the USA since 1999. 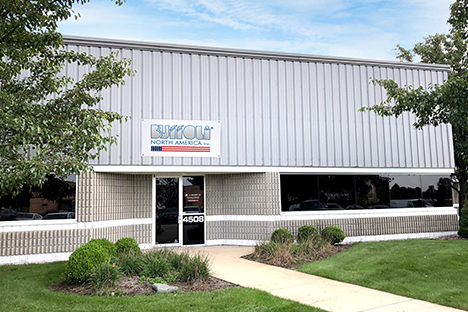 In 2008, after years of operating through representatives, Buffoli created a dedicated team of people for sales and service in America. This team includes personnel committed to the American market who assist our customers with service and maintenance. 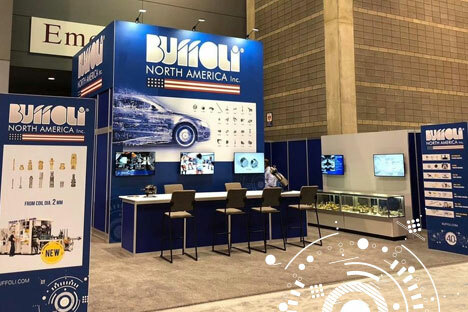 Sales and service in North America are managed by BUFFOLI NORTH AMERICA Inc. with various local agencies with strong experience. 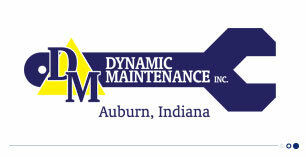 Machine maintenance and rebuilding are also provided by our partner Dynamic Maintenance (based in Auburn, Indiana). Sales and service in Mexico and Brazil are managed by local agencies (Bremex and Unic Brasil), supported by our american team. All the service people are constantly trained in Italy and offer first-class support to our customers throughout the entire lifetime of the equipment. Our team meticulously prepare the machine for the run off, follow the equipment acceptance, install the machine and the automation in America, execute the duplicate run off and provide a complete training in English, Spanish or Portuguese. Afterward, our service and maintenance team supports our customers for any need, including machining cycles, part programs and tooling for new part integration. Lifetime equipment maintenance, including machine rebuilding in the USA. Since 1981 Buffoli has installed over one-hundred bar machines across the USA, Canada, Mexico and Brazil (models: Trans-Bar, Trans-Bar-Collet, Trans-Bar-Double, Trans-Bar-Turn and Twin-Turn) and dozens of transfer machines and multi-station machining centers working from castings or forgings. Even the most recent and innovative machines have been designed to fit the challenges of our American customers - like our flexible machines with multiple machining centers and CNC oriented fixtures (Trans-N-Center FAST) and our turning machines with multiple integrated vertical lathes (Omni-Turn). Buffoli sales and service dept. for America makes sure every problem has a quick solution, supporting subsidiaries, partners and customers with phone or internet assistance or on-site calls, also providing spare parts from the USA, drawings of tooling, consultation on Buffoli machine applications and assistance in developing plans for preventive maintenance. Phone or internet assistance. For customer questions, troubleshooting and diagnosing problems, our subsidiaries and our partners have immediate access to the engineers who actually designed the machine and can dispatch spare parts and service engineers from USA to resolve problems and perform repairs and retrofits on location. On-site calls. Technical specialists handle on-site repairs, maintenance and installations. Spare parts. Spare parts are stored in America or can be kept at customers' site as consignment stock. They can be ordered directly from Buffoli North America Inc. or through our e-commerce application for spares management.